Amazonian and Central American rainforests are a planetary treasure house of wildlife diversity. That treasure house is now under siege: being looted by savvy criminals, who traffic in exotic parrots, Amazon River turtles, jaguars, monkeys, ornamental freshwater fish and rays, caimans and other animals. While the ivory trade in Africa has captured major international headlines, wildlife trafficking in Latin America has not – until now. Mongabay.com is launching an important reporting initiative, open to journalists who want to research and write about the region’s illegal trade. Reporters will document wildlife trafficking in Central and South America and the Caribbean: writing about the local hunters who capture and supply animals; the smugglers and transnational crime syndicates who transport them; the marketers who sell them; and private collectors and consumers who buy them abroad. Wildlife trafficking is devastating the world’s most charismatic and ecologically significant animals, while undermining local livelihoods; and promoting violence, corruption and lawlessness. Trafficking is even seen as a national security threat. Mongabay’s Latin American Wildlife Trade reporting initiative will bring attention to these critical issues, and help galvanize a proactive response by international conservation organizations, national and local governments, law enforcement authorities, NGOs and the general public. The truth about the trade: This overview piece will look at what is currently known about illegal wildlife trafficking in Latin America. How big is the trade? What animals are being traded? What do authorities know, and what don’t they know? Sources, trade routes and destinations; This overview article looks at the last remaining strongholds of wildlife populations in Latin America and follows the trafficking chain as animals are hunted by poachers, transported from forest to market and sold to buyers in China, Europe, America and elsewhere. The role of technology mapping, drones, and other scientific tools being used to combat illegal trafficking should be explored in this piece, or a companion piece. The role of China in Latin American wildlife trafficking: This article, or series of up to three pieces, will highlight regional infrastructure development by the Chinese (and how that work can link to trafficking), the creation of new wildlife markets in the Latin America-Caribbean (LAC) region, and China’s role as an international export market with a high demand for exotic wildlife and products. Profile a port: This article will look at one Latin American airport or seaport and the role it plays in wildlife trafficking. What slips through the cracks, where does the traffic come from and where is it going? How is this port actively confronting the trafficking challenge? Piece should include tales of smugglers caught in the act. The Wildlife trade and other trafficking: This story will explore the relationship between illegal wildlife trafficking and other illegal trades (ie drugs, arms, people) in Latin America. Who are key players? What are main routes? What are the solutions? 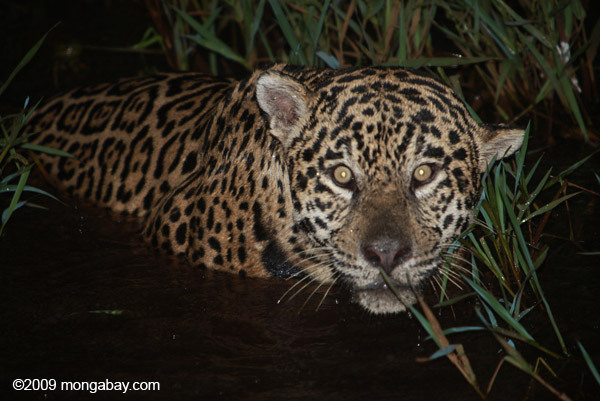 Focus on a species: This article, or series of up to three stories, profiles a specific charismatic species (trophy animals like jaguars, exotic tropical birds, freshwater fish and rays, turtles or caimans, etc.) and follows their journey thru the illegal wildlife trade, while also highlighting attempts to stop that trade. One important story is the substitution of jaguar bone for tiger bone in international markets. This story should also focus on solutions that work in various Latin American countries. In-country trade: This piece would examine the domestic trade in live wild animals, as they are captured in formerly remote areas, then transported along newly built roads carved out of that country’s forests, and sold in emerging urban communities, built on land that was recently wild. The story would examine how weak government regulation and enforcement allow this trade to flourish. We welcome proposals from experienced journalists for single wildlife trafficking articles, or for a series of articles on a particular related topic. However, Mongabay will negotiate all fees and contracts on a per story basis. Completed stories will be featured on Mongabay.com and pay on a per word basis. We will also offer a bonus to journalists who proactively get their stories republished in major third party print media outlets and on sites that draw more than 100,000 unique visitors per month, with a special emphasis on articles published in Spanish/Portuguese/English with major media outlets. We are especially looking for writers able to write bilingual stories, and with major contacts in international and Spanish/Portuguese print and online media.